log in whenever you like to do the next bit. This the best online project management course there is! No unnecessary detail, just everything you need to know. It has 38 videos and 33 quizzes – it’s my whole course put onto the web in user friendly chunks. 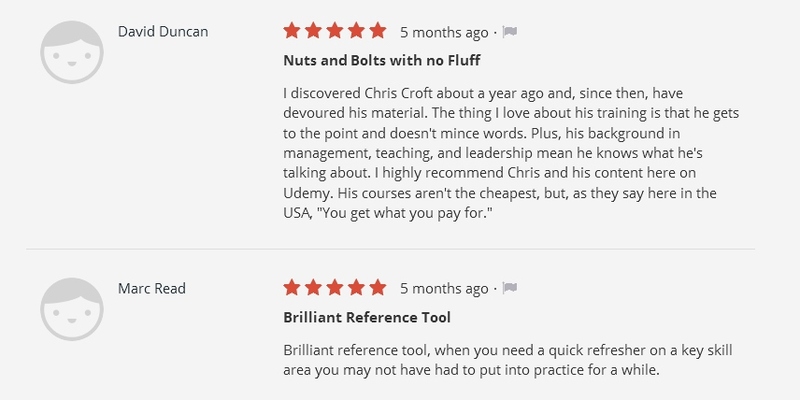 It costs £299 – similar to a day of training, and with this own it for ever – you can go at your own speed, and access the materials as many times as you like, at whatever rate you like and whatever time of day you like, every time you need a bit of revision, for ever. If you need to know more, please view some free samples here. If you want to get a level 3 5 or 7 qualification in Management, accredited by CMI, you can get an Award, Certificate or Diploma from me and Mandy Underwood of DevU. We will enrol you, send you all the learning materials and guidance for writing the assignments, and then you can do the qualification in whatever way suits you – a bit each evening or each weekend, spread over two years, in one massive binge, nocturnally like an owl, or while on holiday on the north pole. If you want a bit of training added into the mix, to help with the assignments, you can come on any of my open courses that you fancy. Also, for a bit extra, you can get coaching from Mandy on any of the units. email me to enquire further, or go direct to the DevU website. email me at chris@chriscrofttraining.co.uk if you want to know more about the above, or just click on the links to look at purchasing options. Both courses are under £10! Chris as your on-line coach for the next five years! I will email you once a week for the next year and then once a month for the four years after that. So you get a five year coaching / training programme from me, at an easy-to-digest drip feed rate. Save all the emails as you go along so you can go back to any of them. Each week I’ll be sending you something new, in the right order for you to use them and implement them. 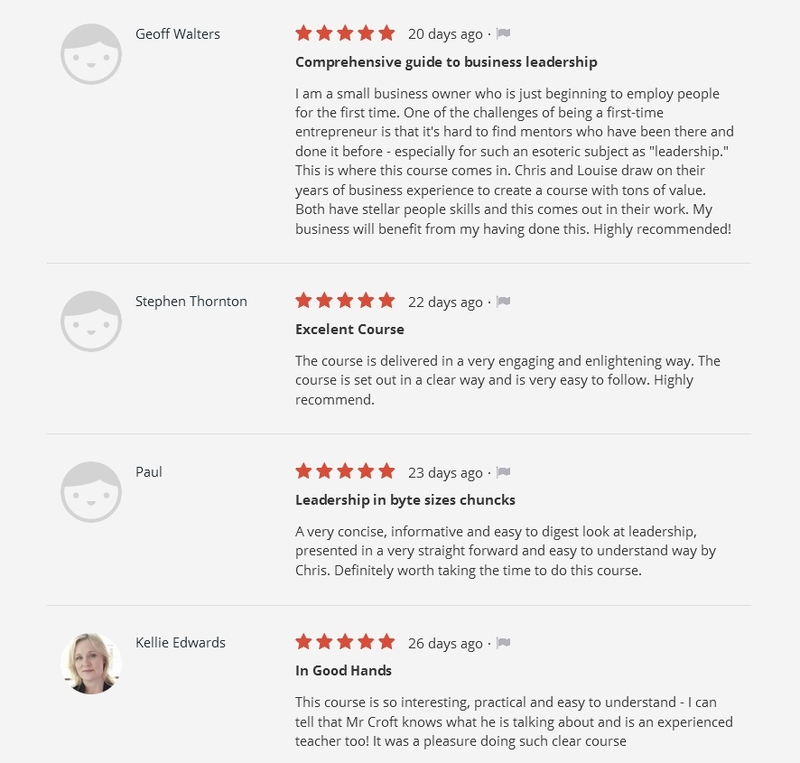 This course can transform your life, making you more efficient, more focussed, with clearer goals, and more assertive in your relationships. I can’t guarantee it, but providing you’re not too high maintenance I’ll reply to questions as well. for which you have them for ever and can access them as often as you like, whenever you need to. 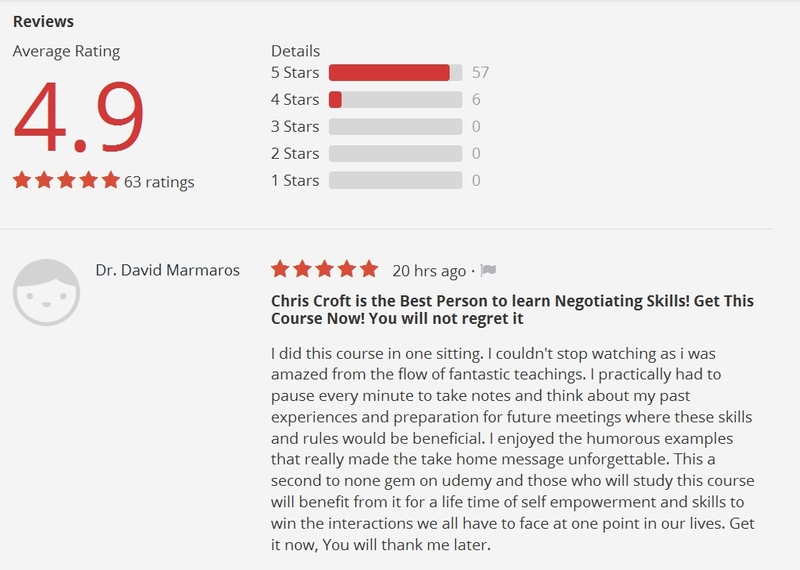 I have filmed my Negotiation course and put it on Udemy as 37 videos, and it’s available for £85. …. if ever there was a course that pays for itself, it’s this one! This is the kind of thing it contains – lots of short-but-meaty videos! This is what the course looks like once you’re viewing it. Here I am explaining The Salami: what it is and what to do when someone is using it on you! you can come back and view it as many times as you like, whenever you like. Sign up now!